146 years ago 1,000 Fenians launched an invasion of Canada from this very spot. 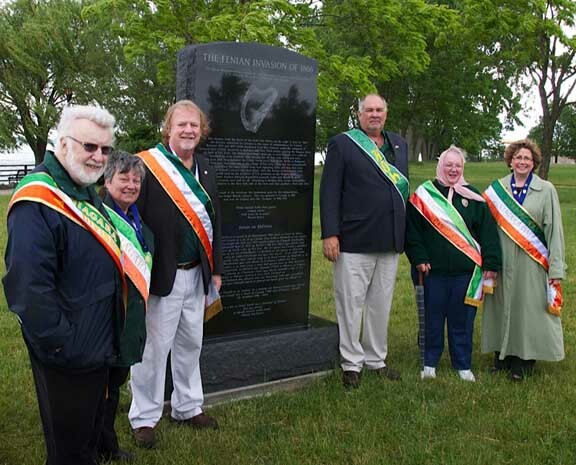 They were veterans of the Civil War and dedicated to a free Ireland, and their story is part of the great history of Buffalo and Erie County, a story that this monument will tell to future generations. And it does not end here on the banks of the Niagara River, for their efforts shook foundations in England, Canada and the United States. 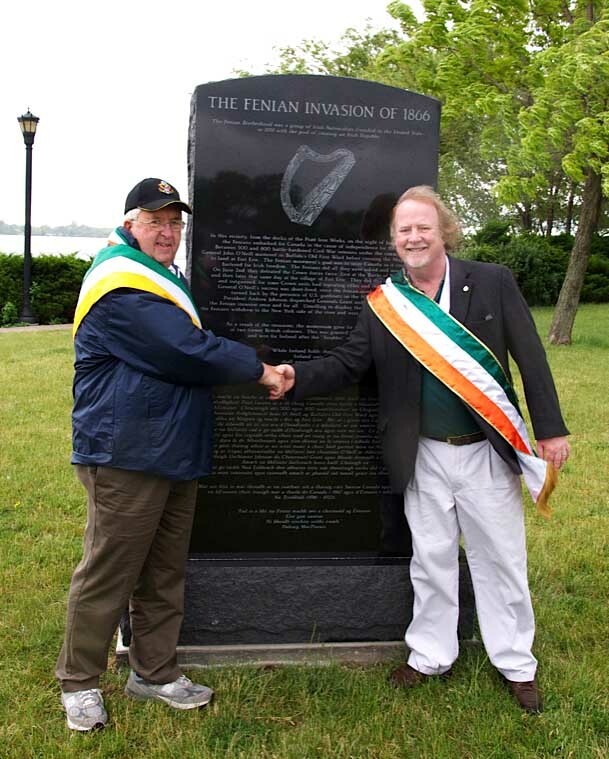 The Fenian Brotherhood planned a three pronged invasion of British Canada. Strikes from Cleveland, Buffalo and the Champlain Valley would capture the Welland Canal, Quebec and Montreal. Then, these prizes would be used to leverage a free and independent Ireland. To carry out these plans, the leaders called upon veterans of the Civil War who had been hardened by the crucible of war. Their leader here on the Niagara Frontier, John O’Neil had risen to the rank of colonel. O’Neil arrived in Buffalo in May, 1866 to find the train stations guarded against the Fenian raiders. The men jumped from the trains and found shelter throughout South Buffalo and the Canal District. There they stored arms and drilled for the impending invasion. Late on the night of May 31, O’Neill, who the men now called “General” decided that they could wait no longer. 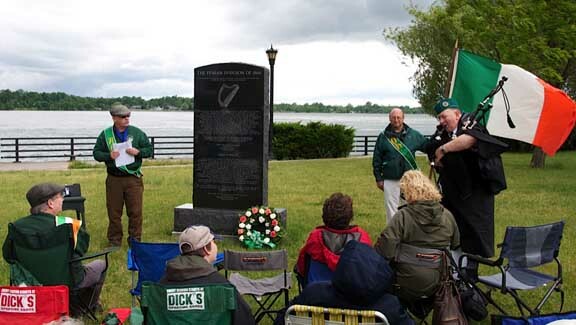 The Fenians marched from South Buffalo along the river to this very spot. Here they boarded canal boats that were towed across the river. 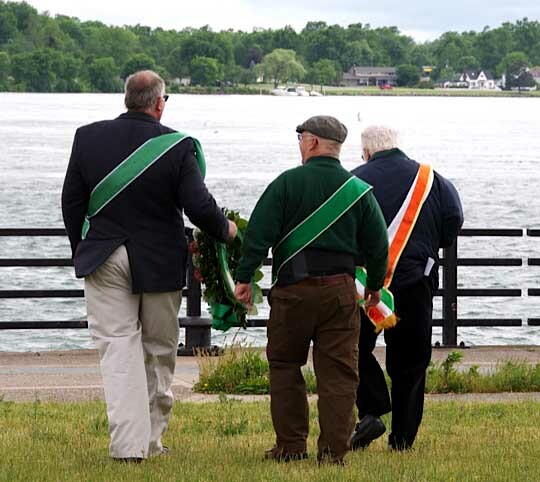 Establishing a beachhead, the Fenians seized the ruins of old Fort Erie and marched out to cut the rail lines and seize the Welland Canal. At Ridgeway, they encountered Crowned Forces and Canadian militia sent to end the raid. At that now famous crossroads, the Fenians bested units of the Queen’s Own Rifles. Though successful, O’Neill feared that without reinforcements, it would not be possible to push on, and so they withdrew to Fort Erie, again defeating a British force. By now larger forces were in play. US gunboats were on the Niagara River and General Meade had been dispatched to recall the veterans, many of whom had served under him at Gettysburg and other battles during the Civil War. O’Neill realized that the overall plan was not playing out and there was no point in forfeiting the lives of his men…though, if there were any hope, he said, “I would never surrender.” Federal authorities detained O'neill and some of his men, but eventually they were paroled. In the end, the Fenians can claim a success with few parallels in military history- defeating a British force on Canadian soil. The Fenian Invasion caused Canadians to agitate for an independent country with the ability to defend itself. 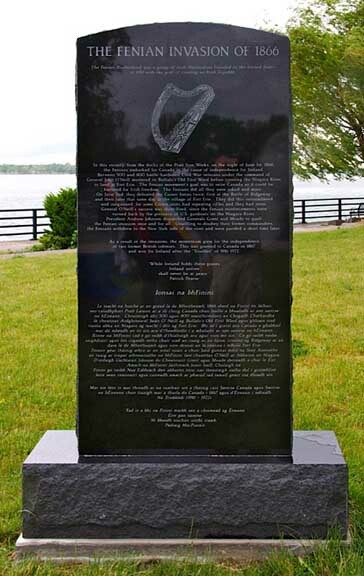 The Act of Confederation was passed in 1867, creating an independent Canada - and of course, the heroic actions of the Fenians inspired those seeking to establish a free and independent Ireland.